Spring time is here along with birthdays for several of my friends. So I took the opportunity to be inspired by the inspiration challenge at Hand Stamped Sentiments to create a birthday card for one of my friends. The card I created was very easy and quick to make. I used the Petal Palette stamp set and coordinating Thinlits. The sentiment was die cut using the Happy Birthday Thinlits die. Love this die! I also used the Pinewood Planks Dynamic Textured Impressions Embossing Folder. for the background. The flowers were stamped with Momento Black and colored with Stampin’ Blending Calypso Coral and Old Olive markers. Here is the inspiration photo for the challenge at Hand Stamped Sentiments. Spring has sprung! The garden is blooming and the foliage is showing off their new shoots. A beautiful enticement for the butterflies. It’s a glorious time of year. For me, everything seems possible and brings a wonderful feeling of renewal and creativity. My garden inspiration and card. Hence my inspiration as well as the sketch challenge from Hand Stamped Sentiments. My card reflects the colors of spring and butterflies. I used the Beauty Abounds Cling Stamp set and the Butterfly Beauty Thinlits Dies. I do have to mention my card is also CASED from the 2019 Stampin’ Up Occasions catalog, page 13. Stampin’ Up! catalogs just don’t show products but they also show wonderful projects featuring their products which also inspire creativity. Join Hand Stamped Sentiments for this sketch challenge and see what the HSS design team has created for your inspiration. Hello Spring and Welcome through my Barn Door! Spring is right around the corner and I’m busy with spring cleaning. My hubby is busy tidying up the garden and I’m putting away my winter dishes, hanging up my spring wreath and cleaning up my outdoor furniture. I love it when we go to daylight savings and I can drive home from work in the daylight. I know it sounds silly but I so enjoy this time of year. I feel happy because the plants in our garden are blooming and the weather is getting warmer. Hello spring! So it seems fitting that my card is inspired by the challenge at Hand Stamped Sentiments. Here’s my card. I embossed the So Saffron with the Simple Stripes Textured Embossing Folder. The door, ‘hello hanging frame and flower were stamped from the Barn Door stamp set and die cut with the Sliding Door Framelits. The chair is die cut with the Season Layers Thinlits. I inked up the flamingo from the Pop of Color retired stamp set with Write Markers – Basic Black and Melon Mambo. I free cut the flower pot from Blushing Bride card stock and stamped the plant from the Flowering Desert stamp set and fussy cut it. For more inspiration for this color challenge go to HSS and see what the other design team members created. This is the best Sale-a-bration ever! Fun stamps, thinlets, and accessories can be earned with every $50 purchase from the Sale-a-bration catalog. One of the stamp sets you can earn is the So Hoppy Together. This stamp set features three very cute frogs which I had to get. The card I created was inspired by the color challenge of Soft Sea Foam, Pool Party and Highland Heather at Hand Stamped Sentiments. I stamped the leaves and flower using the Tropical Chic Stamp set and used the Tropical Thinlits to die cut the leaves and fussy cut the flower. The frog and dragonfly I stamped with Momento black, colored with a blender pen and ink pads then fussy cut the frog. The sentiment is also from the Tropical Chic set. Hello there with a Flowering Desert! For the past few days it’s been rainy and cold. So to bring a bit of sunshine and lift my spirits I finally inked up my Flowering Desert stamp set. I love this set! There are subtleties of color in the images that make the images look like they were water-colored. The background is stamped on vellum and I used the layering ovals to die cut the Lovely Lipstick and Whisper White ovals. The saguaro cactus cactus, flowers and yuccas I stamped and fussy cut. I used dimensionals to adhere the saguaro cactus and yuccas to the Whisper White oval. I then took the Pear Pizzazz card stock and stamped the prickly pear images with Lovely Lipstick flowers. I did stamp off the flowers to get a lighter shade. The sentiment was stamped with Momento Tuxedo Black and die cut with the Stitched Shapes Framelits Dies. My card was also inspired by the sketch challenge at Hand Stamped Sentiments. I invite you to join the challenge and be inspired by the design team. I have mad love for the Nine Lives stamp set and Cat punch. The Nine Lives stamp set is from the Stampin’ Up 2019 Occasions catalog and it coordinates with the Cat punch . I was inspired by the Hand Stamped Sentiments Inspiration Challenge and my Bengal cat Rocco to create a Valentine’s Day card. I stamped the wood background with Blushing Bride then added retired Real Red Mixed ribbon then adhered to the Real Red layer. The cat was stamped on Crumb Cake then the markings were stamped in Early Espresso. I used dimensionsl to adhere the cat. The sentiment is framed and adhered with dimensionals I finished the card with stamping hearts then embelleshed with basic rhinestones. Valentine’s day is right around the corner. This card would be so easy to duplicate quickly and send to family and friends for Valentine’s day. Who wouldn’t love to get this card in the mail?! Here’s the Hand Stamped Sentiments Inspiration image. 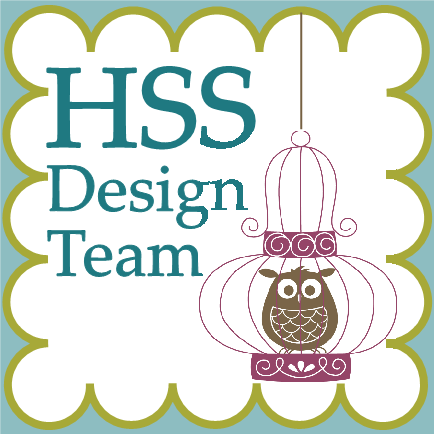 Visit HSS and see more projects by the design team.